Kris Aquino with her sons Bimby (left) and Josh. 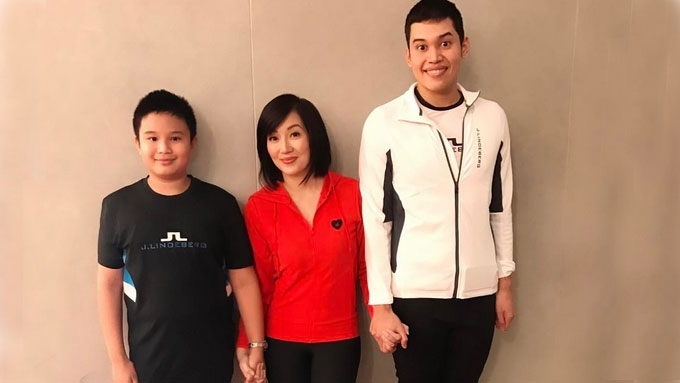 During the Holy Week break, Kris Aquino's eldest son Josh chose not to join his mom and brother Bimby on their trip to the Maldives. Some of Kris's followers asked, "Why?" Didn't he want to see the island that has become a favored destination for those who can afford the trip? Didn't he want to swim with "all different types of fish and even baby stingrays" that her described? Well, Josh chose to go instead to Negros Occidental, to be with his Yaya Bincai, who hails from there. Here's a photo of Kris, Josh, and Bimby, with the Luntayao sisters—Bincai (left) and Gerbel (right)—who have been taking care of the star's sons for almost a decade now. Swimming was not part of his summer adventures, but Kris's "gentle giant" surely had much fun. Enjoying his sky bicycle ride at the Campuestohan Highland Resort. The 21-year-old Josh also got to do grocery shopping, have his own food trip, and watch the pilot episode of his mom's show Trip Ni Kris. He certainly also made Bincai's 88-year-old lolo happy. 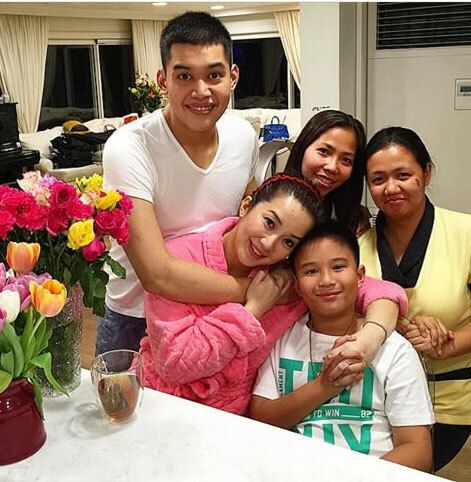 Part of his yaya's text update to Kris was: "Ang sweet niya po, panay holding hands and bless niya po. And because Josh fell in love with Negros, Kris wrote on Instagram, "He asked me to invest in property there near the beach. I hope by the time they get home fluent na mag Ilonggo si Kuya."